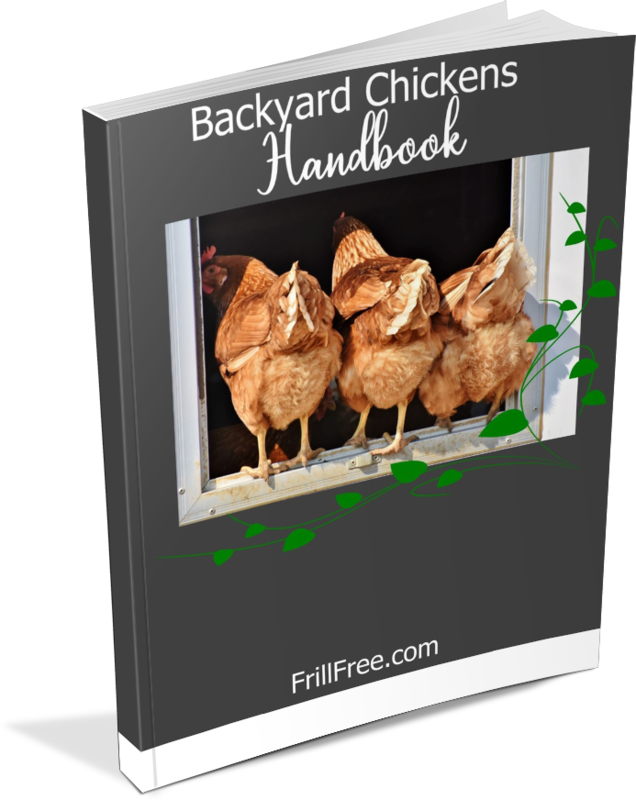 If you have Bantam chickens, sooner or later, probably sooner, one or more of them will go broody. A broody Bantam hen is hard to miss. 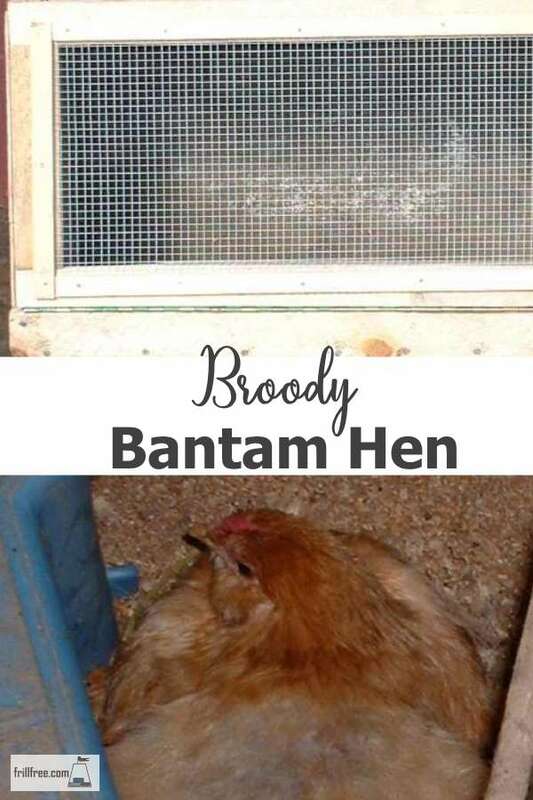 If your hen stays on the nest after laying her egg longer and longer, and then stays on the nest overnight, even if the eggs have been gathered, you have a broody hen. They also cluck a lot, ruffling up their feathers. In some cases, they’ll pull out their own feathers on their breast and back, leaving them looking decidedly moth eaten. This urge is triggered by the length of daylight, which is read by a sensor in the birds eyes. Other factors include warmth, which explains why it's most common in the springtime as the earth moves towards the solstice in June. The mothering instinct is strong, especially in Bantams. In many egg producing breeds, this maternal broody trait has been bred out, as in most cases, we want eggs, not a bird that lays eight or ten eggs and then wants to become a mother. I cherish my bantam hens for this broody characteristic. Bantam hens will hatch out any kind of egg, even attempting to hatch out golf balls if you want to hold them in the broody state until you get enough eggs to put under her to hatch. It's important to 'set' your hen on her own nest away from other hens that will lay eggs in among the ones that you want to hatch. A box that closes for safety at night is essential, so they'll be safe (hen and her eggs) from ground hunting predators like rats. Keep the box closed at night until the other hens have laid their eggs where they're supposed to, then open it to let her out for a quick run, squawk, poop and preen. She won't stay out long. Most bantams are pretty small, so a large clutch will be up to eight eggs of her own, or three duck or larger breed chicken eggs. Yes, I said duck eggs. Nothing is more hilarious when, ducks being ducks, they head straight for a pond, leaving the mother hen clucking anxiously on shore as they frolic and swim. Broody Bantam hens have such a strong instinct to be a mother that they’ll not only hatch anything, they will adopt other chicks to raise along with their own. This depends entirely on the hen, and the age of the chicks. The most successful adoptions will be of chicks that are the same age or within a day of her own chicks. Place the extra clutch under her at night, and very quietly. By morning, the chicks will be accepted as her own, as she can’t count, and has no sense of smell to differentiate them. Don’t attempt to graft older chicks, as they won’t bond to her, and she could kill them. 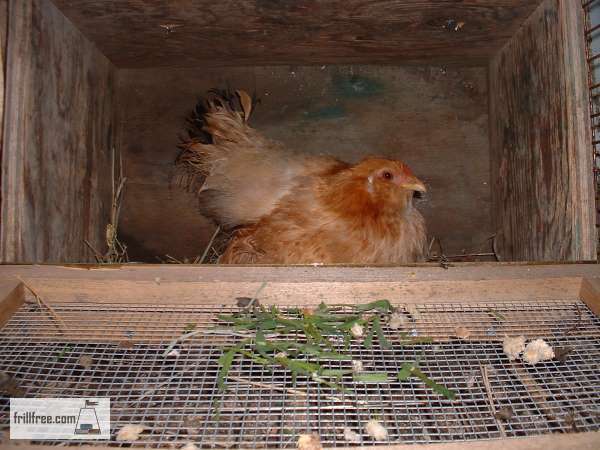 The maximum they can adopt will depend on the size of the hen, and if you plan to help brood with a heat lamp. Broody Bantam hens can adopt several more chicks than she can hatch, up to a total of twenty chicks. Having a sub flock of Bantam hens in the chicken coop to go broody and take over the task of incubating and raising your replacement pullets for egg production ensures that you have easy going hens, as the presence of a mama hen gives the chicks a feeling of safety and security.